And in addition, the Messiah of Israel claimed that the person that teaches others to not comply with the Law would be the lowest in the Kingdom of Heaven, and he who practice them (the commandments of the Law) would be great in the Kingdom of Heaven. Matthew 5:19 “Whoever, then, breaks one of the least of these commands, and teaches men so, shall be called least in the reign of the heavens; but whoever does and teaches them, he shall be called great in the reign of the heavens“. In Matthew 24:20 says “And pray that your flight does not take place in winter or on the Sabbath“. Matthew 23:1-3 “Then Yeshua spoke to the crowds and to His taught ones, saying, “The scribes and the Pharisees sit on the seat of Mosheh. Therefore, whatever they say to you to guard (from the Torah), guard and do. But do not do according to their works, for they say, and do not do“. Yeshua was NEVER against the law of Moses, he was against the “commandments of men”: “the Oral law”. 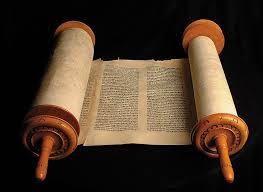 The “Oral Torah” includes legal and interpretative traditions of the rabbis of the Torah, not the law of Moses. These interpretations were transmitted orally through the ages and were later codified and written in the Talmud, the Mishnah and Midrash. As Yeshua said: Matthew 23:4 “(you) bind heavy and difficult loads (Oral law), and put them on the backs of men, but want them (the scribes and Pharisees) or with a finger to move them.”. 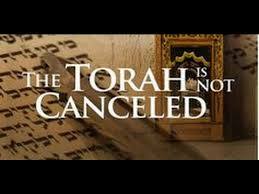 Remember, the Talmud, the Mishnah and Midrash are interesting books, as long as they do not contradict to the Torah. Matthew 23:13-15 ” But woe unto you, scribes and Pharisees, hypocrites! for ye shut up the kingdom of heaven against men: for ye neither go in yourselves, neither suffer ye them that are entering to go in. Woe unto you, scribes and Pharisees, hypocrites! for ye devour widows’ houses, and for a pretence make long prayer: therefore ye shall receive the greater damnation. Unto you, scribes and Pharisees, hypocrites! for ye compass sea and land to make one proselyte, and when he is made, ye make him twofold more the child of hell than yourselves”. Matthew 22:36-40 “Master, which is the great commandment in the law? 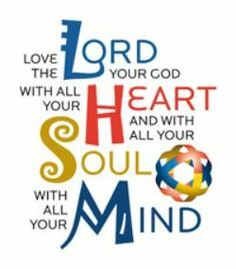 Yeshua said unto him, Thou shalt love the Lord thy Elohim with all thy heart, and with all thy soul, and with all thy mind (Found in Deuteronomy 6: 4-9). This is the first and great commandment. And the second is like unto it, Thou shalt love thy neighbour as thyself. On these two commandments hang all the law and the prophets”. Of course, you and I know that those two commandments are part of the basis of Protestant churches beliefs. 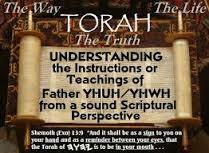 Thus, we can see that the Law of Elohim STILL APPLIES, or is that We chose which parts of the Torah are useful or not? Of course, not. WHAT DID THE APOSTLES AND THE FIRST YEJUDIM, FOLLOWERS OF YESHUA, SAID. Paul, as well as the first Nazarene messianic Jews, spoke about the law of Moses on good terms. Romans 3:31 “Do we then make void the law through faith (grace)? (NEVER) Elohim forbid: yea, we establish the law”. 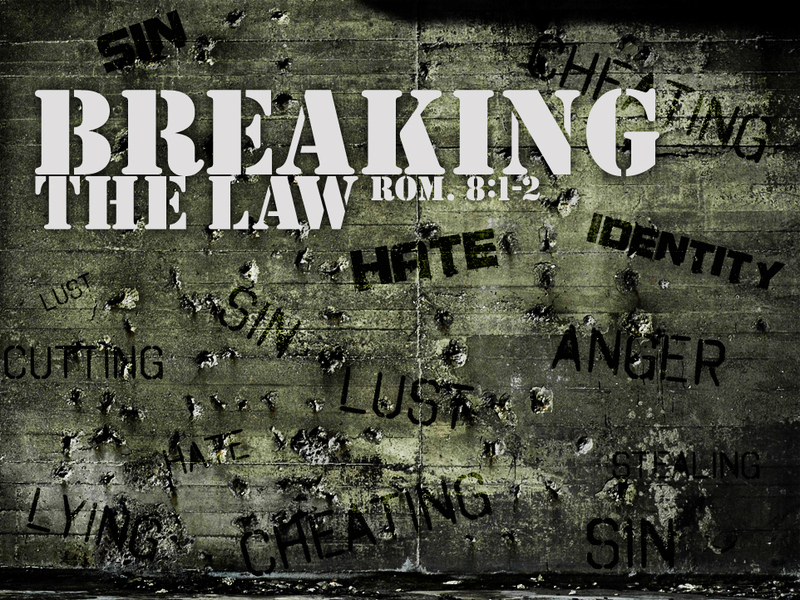 Romans 7:12 “Wherefore the law is holy, and the commandment holy, and just, and good”. Luke 23:55-56 “And the women also, which came with him from Galilee, followed after, and beheld the sepulchre, and how his body was laid. 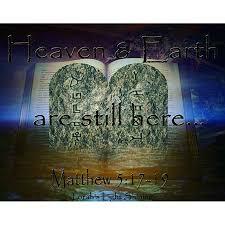 And they returned, and prepared spices and ointments; and rested the sabbath day according to the commandment“. So, as we can clearly see in the first 40 years of Christianity the law of Moses, was kept by the followers of Christ. Acts 18:18 “And Paul after this tarried there yet a good while, and then took his leave of the brethren, and sailed thence into Syria, and with him Priscilla and Aquila; having shorn his head in Cenchrea: for he had a vow. 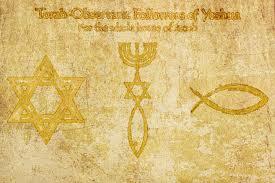 (a commandment from the Torah)”. Acts 20:6 “And we sailed away from Philippi after the days of unleavened bread (one of the laws of the Torah), and came unto them to Troas in five days; where we abode seven days”. Act 20:16 “For Paul had determined to sail by Ephesus, because he would not spend the time in Asia: for he hasted, if it were possible for him, to be at Jerusalem the day of Pentecost (Shavuot) (Another religious festivity in the Law of Moses). Acts 24:11, 14; 25: 8 “Because that thou mayest understand, that there are yet but twelve days since I went up to Jerusalem for to worship.. ¿ (24:14) But this I confess unto thee, that after the way which they call heresy, so worship I the Elohim of my fathers, believing all things which are written in the law and in the prophets: “(25: 8), While he answered for himself, Neither against the law of the Jews, neither against the temple, nor yet against Caesar, have I offended any thing at all. Peter clearly warned that the Epistles of Paul had things “hard to be understood, which they that are unlearned and unstable wrest, as they do also the other scriptures, unto their own destruction. (2 Peter 3:16)”. Yeshua affirm as Messiah of Israel: “And Yeshua answered and said unto them, Take heed that no man deceive you. For many shall come in my name (Calling themselves christians), saying, I am Christ; and shall deceive many.” (Matthew 24:4-5). In Acts 17:10-12 converted Jews investigated the Tanack to see if the Apostles were telling things according to Jewish Scripture“ And the brethren immediately sent away Paul and Silas by night unto Berea: who coming thither went into the synagogue of the Jews. These were more noble than those in Thessalonica, in that they received the word with all readiness of mind, and searched the scriptures daily, whether those things were so. Therefore many of them believed; also of honourable women which were Greeks, and of men, not a few”. Colossians 2:14 “Blotting out the handwriting of ordinances that was against us, which was contrary to us, and took it out of the way, nailing it to his cross“. On these verses John Calvin express his considerations, explaining the so-called law supposly abolished by Paul in Ephesians 2:14 and Colossians 2:13, and exposed: “There can be no doubt that it is there the ceremonies, when he speaks of the wall of division that separated Jews and Gentiles”, and clarifies that in that passage “the reason assigned by the Apostle does not apply to the Moral Law “, but to the ceremonial observations only“. Deuteronomy 5:31 “But as for thee, stand thou here by me, and I will speak unto thee all the commandments, and the statutes, and the judgments, which thou shalt teach them, that they may do them in the land which I give them to possess it”. In the first verse the Apostle Paul says to us that Yeshua by its blood redeemed us of the sin (curse of the law) and because all that could be left at the night in the madero was cursed. The law was our ayo: Professor, but now are all in Mashiach connoisseurs of it law in detail and of its intention so we now conform according to the commandments of Elohim. The Apostle Paul said in Romans 2:13-16 “(For not the hearers of the law are just before God, but the doers of the law shall be justified. For when the Gentiles, which have not the law, do by nature the things contained in the law, these, having not the law, are a law unto themselves: Which shew the work of the law written in their hearts, their conscience also bearing witness, and their thoughts the mean while accusing or else excusing one another;) In the day when God shall judge the secrets of men by Jesus Christ according to my gospel. When we sin, we incur in a debt that is paid with death (Romans 6:23). The penalty of death that means the curse of which we redeemed Christ with his death (Galatians 3:13). The law of Elohim not can be a curse, since the same Paul said that was holy, just and good! When he says that we are not “under the law, but under grace”, means that when we have repented and began to obey the laws of Elohim, and are no longer under the law [death] penalty, because we have received unmerited forgiveness, and we no longer practice Sin [will not transgress the laws of God (Romans 6:15). Also affirms the same in Romans 8:6-8 “For to be carnally minded is death; but to be spiritually minded is life and peace. Because the carnal mind is enmity against Elohim: for it is not subject to the law of God, neither indeed can be. So then they that are in the flesh cannot please Elohim“. Ezekiel 11:17-20 “Therefore say, Thus saith YHWH our Elohim; I will even gather you from the people, and assemble you out of the countries where ye have been scattered, and I will give you the land of Israel (IT happen in 1948 with the State of Israel). And they shall come thither, and they shall take away all the detestable things thereof and all the abominations thereof from thence. And I will give them one heart, and I will put a new spirit within you; and I will take the stony heart out of their flesh, and will give them an heart of flesh: That they may walk in my statutes, and keep mine ordinances, and do them (All of us will cumply with the Laws of Elohim): and they shall be my people, and I will be their Elohim“. Hebrews 8:1-12 “Now of the things which we have spoken this is the sum: We have such an high priest (YESHUA), who is set on the right hand of the throne of the Majesty in the heavens; A minister of the sanctuary, and of the true tabernacle, which the Lord pitched, and not man. For every high priest is ordained to offer gifts and sacrifices: wherefore it is of necessity that this man have somewhat also to offer. For if he were on earth, he should not be a priest, seeing that there are priests that offer gifts according to the law: Who serve unto the example and shadow of heavenly things, as Moses was admonished of Elohim when he was about to make the tabernacle: for, See, saith he, that thou make all things according to the pattern shewed to thee in the mount. But now hath he obtained a more excellent ministry, by how much also he is the mediator of a better covenant (NO NEW COVENANT YET), which was established upon better promises. For if that first covenant had been faultless, then should no place have been sought for the second. For finding fault with them, he saith (In Jeremiah 31:31-34), Behold, the days come, saith the Lord, when I will make a new covenant with the house of Israel and with the house of Judah: Not according to the covenant that I made with their fathers in the day when I took them by the hand to lead them out of the land of Egypt; because they continued not in my covenant, and I regarded them not, saith the Lord. For this is the covenant that I will make with the house of Israel after those days, saith the Lord; I will put my laws into their mind, and write them in their hearts: and I will be to them a God, and they shall be to me a people: And they shall not teach every man his neighbour, and every man his brother, saying, Know the Lord: for all shall know me, from the least to the greatest (THIS HAS NOT HAPPEN YET). For I will be merciful to their unrighteousness, and their sins and their iniquities will I remember no more”. Isaiah 66:15-24 “For, behold, the LORD will come with fire, and with his chariots like a whirlwind, to render his anger with fury, and his rebuke with flames of fire. For by fire and by his sword will the LORD plead with all flesh: and the slain of the LORD shall be many (At the end of times). They that sanctify themselves, and purify themselves in the gardens behind one tree in the midst, eating swine’s flesh, and the abomination, and the mouse, (No kosher) shall be consumed together, saith the LORD. For I know their works and their thoughts (See Matthew 7:21-23 those who do not practice Torah’s Laws): it shall come, that I will gather all nations and tongues; and they shall come, and see my glory. And I will set a sign among them, and I will send those that escape of them unto the nations, to Tarshish, Pul, and Lud, that draw the bow, to Tubal, and Javan, to the isles afar off, that have not heard my fame, neither have seen my glory; and they shall declare my glory among the Gentiles. And they shall bring all your brethren for an offering unto the LORD out of all nations upon horses, and in chariots, and in litters, and upon mules, and upon swift beasts, to my holy mountain Jerusalem, saith the LORD, as the children of Israel bring an offering in a clean vessel into the house of the LORD (Not only jews, but everybody). And I will also take of them for priests and for Levites, saith the LORD. For as the new heavens and the new earth, which I will make, shall remain before me, saith the LORD, so shall your seed and your name remain. And it shall come to pass, that from one new moon to another, and from one sabbath (Day of rest) to another, shall all flesh come to worship before me, saith the LORD. And they shall go forth, and look upon the carcases of the men that have transgressed against me: for their worm shall not die, neither shall their fire be quenched; and they shall be an abhorring unto all flesh“. Zechariah 14:16-18 ” And it shall come to pass, that every one that is left of all the nations which came against Jerusalem shall even go up from year to year to worship the King, the LORD of hosts, and to keep the feast of tabernacles (Sukkot). And it shall be, that whoso will not come up of all the families of the earth unto Jerusalem to worship the King, the LORD of hosts, even upon them shall be no rain. And if the family of Egypt go not up, and come not, that have no rain; there shall be the plague, wherewith the LORD will smite the heathen that come not up to keep the feast of tabernacles“. ¿Was the Law of Moses abolished? ¿Are you sure? ¿Where is the proof of it? Deuteronomy 30:19-20 “I call heaven and earth to record this day against you, that I have set before you life and death, blessing and cursing: therefore choose life, that both thou and thy seed may live: That thou mayest love the YHWH thy Elohim, and that thou mayest obey his voice, and that thou mayest cleave unto him: for he is thy life, and the length of thy days: that thou mayest dwell in the land which YHWH sware unto thy fathers, to Abraham, to Isaac, and to Jacob, to give them. 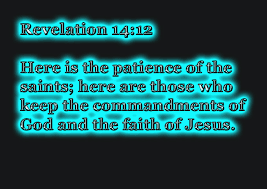 I thank Yeshua for answering my prayer for Him to confirm what He has revealed to me about how a believer and follower of Him is to obey the Laws of Moses and also to keep the true sabbath from friday sundown to saturday sundown. and that if we love Him to keep all of His commandments, not only the ten commandments that they teach in the christian churches today. I am of Jewish Heritage but was raised catholic because my mother was catholic, and I didn’t find out about about my father family’s Jewish heritage until I hit my 50′ my great grandfather was Jewish and when he received Yeshua as his messiah he attended a protestant church and abandoned his jewish heritage and just considered himself a protestant. so when I found out that by my father I inherited Jewish blood It caused me to want to know more about jewish customs and ways including obeying the laws of moses and keeping the true sabbath. I have left the christian churches because of the apostate teachings and I have found that a lot of people are leaving the churches because of the same thing. 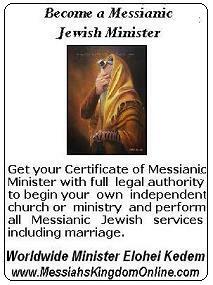 I wish there were a messianic church in my town that I could attend but unfortunately there isn’t. I never learned my great grandfathers jewish last name because he changed it. I guess he changed it because of the town I live in is extremely antisemitic. Thank you for writing this article it answered a lot of questions that I had and confirmed what Yeshua has been revealing to me so that I can continue to worship and serve Him in Spirit and in Truth. Deborah wonderful to hear your story. May Elohim bless you always.